you already have some waterfalls in the staging environment. Now you come to a point you want to know, how well your station is performing. ground station in standalone mode. if you want to go back to network mode - do not forget about this! Now go ahead and start gqrx. hitting C-d or simply clicking the Play-Button. line is just in the middle of the transmitters bandwidth. 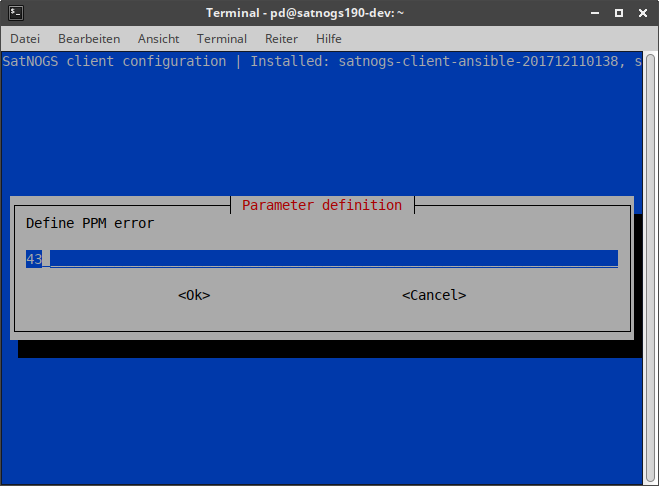 Navigate to “Advanced -> SATNOGS_PPM_ERROR” and enter the new value. You get a nice tool to do some SDR stuff by the way. Just play around a bit and get familiar with all that stuff. 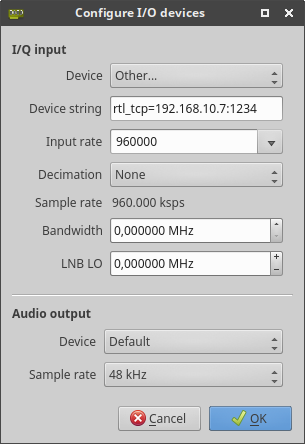 Just keep in mind that, as long as you run the RTL SDR Spectrum server or you have set your client into standalone mode, nothing is done from network. P.S. : Comments and discussion welcome! 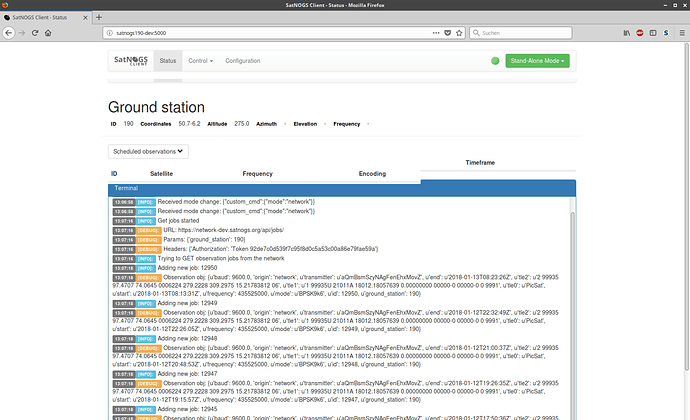 Hi @DL4PD – this is really awesome! 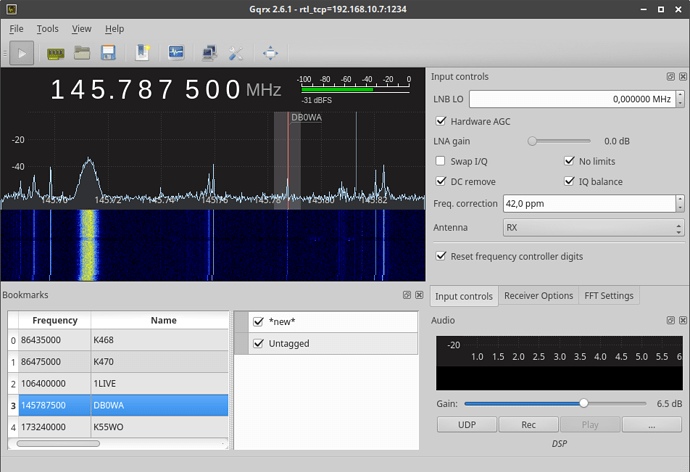 I’ve only just started setting up my own station, and am new both to radio and SDR – so I’m sure I’m going to be referring to this a lot. It would be excellent if this were available on the wiki so that it’s easy for other folks to find – do you have any objections to having it ported there? I’d be happy to do that work (giving you all the credit, of course ). The original intention was to write it in the Wiki, but for discussions I thought it would be better to make a new thread. Please feel free to add it in the Wiki. To find my PPM error I used a NOAA weather radio broadcast station. There are a lot signals that could be used. 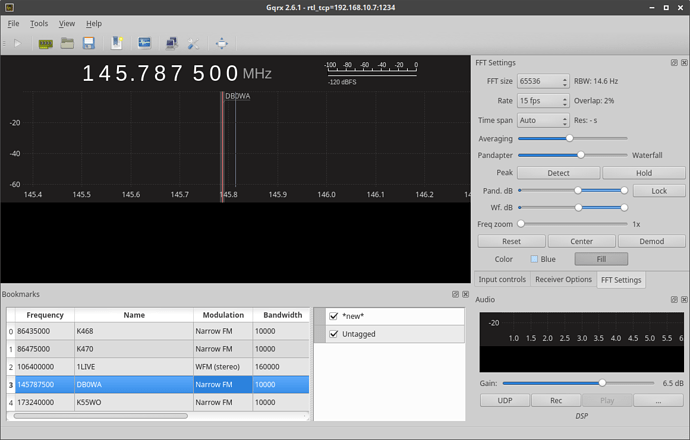 There is also a tool to automatically measure the ppm error using GSM cells (they have GPS disciplined oscillators), but CW hast one significant advantage: it is very very narrow band! If I recall correct, the tool is called ‘calibrate’. Tho in my area it had a hard time working. 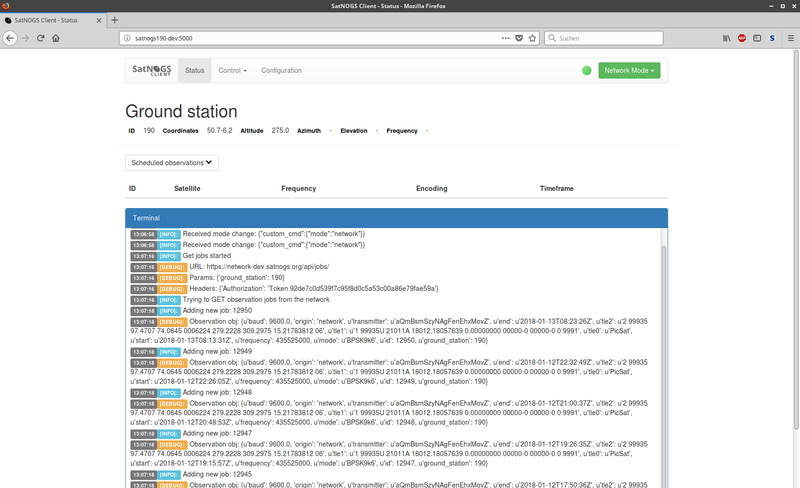 Initial port made: https://wiki.satnogs.org/Adjusting_the_SatNOGS_Client. Haven’t had a chance to link to it from other pages yet. @DL4PD, thanks again for writing this up! Hope I haven’t butchered it too much – it’s a wiki, so edit to your heart’s content.